People are different shapes and sizes, having a bespoke glasses frames made to your exact specifications helps in a number of different ways. 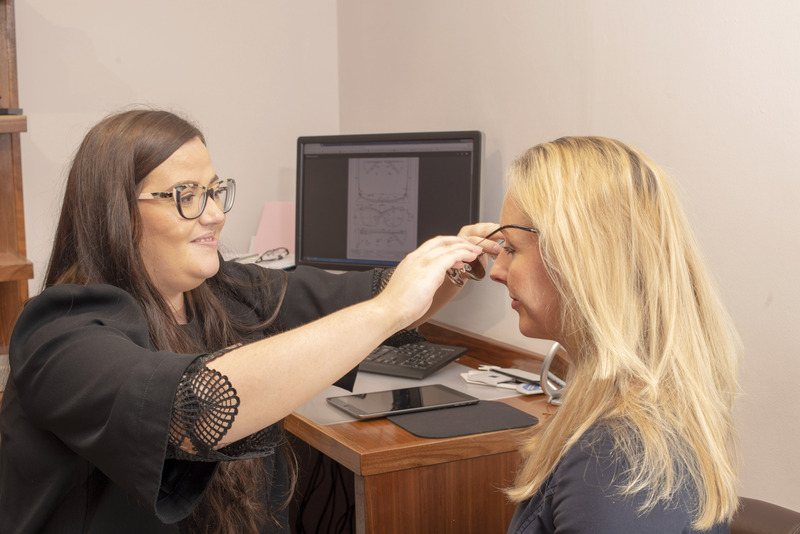 First of all optically, if the frame fits perfectly then we can ensure you get the optimum performance from your glasses prescription and therefore the best vision possible. Secondly, most prescription glasses on the market these days are generically sized and therefore not made just for you. With Tom Davies bespoke glasses frames we ensure that the frame is handmade to the exact specifications that you require so that they fit you perfectly. We have designed and supplied more bespoke Tom Davies glasses frames than any other opticians in the North of England. Finally and equally important a bespoke glasses frames will look great on your face. Natural horn is one of the earliest materials used to make glasses. Up until recently, natural horn has fallen out of favour with frame manufacturers. Recently however manufacturers have started to use buffalo horn to make the most exquisite glasses. Buffalo horn is a unique natural product; it is 35 % lighter than standard plastic (acetate) frames. It is hypo-allergenic making it the ideal choice for patients with sensitive skin. The horn used is a by-product of Water Buffalo rearing in India and Africa. Each piece of horn has a unique colour, intrinsically varied in grain and striations, making each buffalo horn frame unique. Natural horn has a remarkable feel as it adjusts to skin temperature making it incredibly comfortable to wear. For the discerning patient who wants bespoke luxury prescription glasses, buffalo horn frames are the ideal choice. 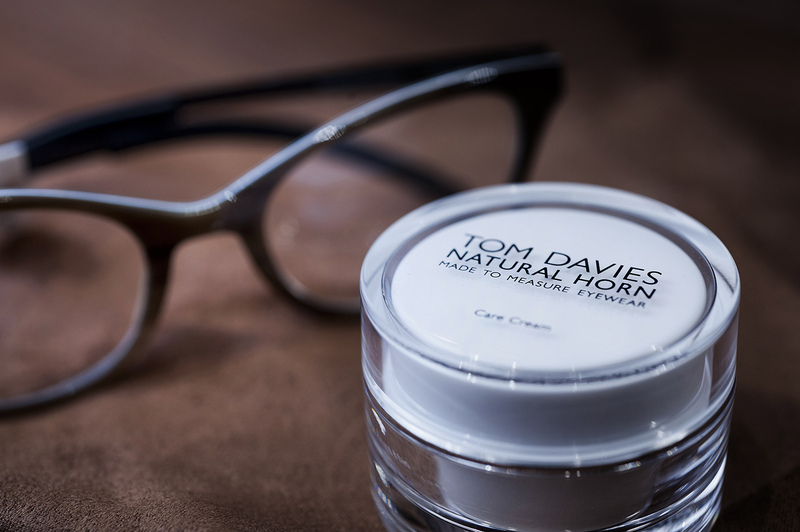 Tom Davies is the supplier of our horn glasses frames and they go to great lengths to ensure that all the horn is ethically sourced. Much of the horn is sourced from Asia and is a by-product of the leather industry. Previously, the horn had simply been thrown away until people realised it made excellent prescription glasses. It is worth noting that in order for the horn to be of sufficient quality for it to be made into glasses, the animal has to have been very well looked after throughout its entire life.